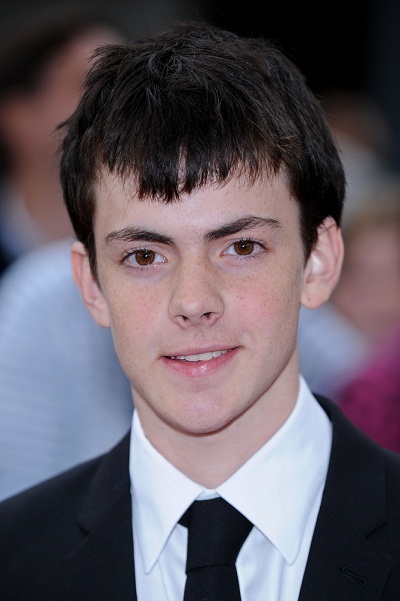 Skandar Keynes is a British actor and political advisor. He is the son of Randal Keynes (Randal Hume Keynes), a conservationist and author, and Zelfa Hourani. His father is of English, as well as distant Scottish and Welsh, and remote French Huguenot, descent. His maternal grandfather was of Lebanese descent, and his maternal grandmother’s ancestry is Persian and Turkish. Skandar is a great-great-great-grandson of naturalist Charles Darwin (Charles Robert Darwin), a great-great-nephew of economist John Maynard Keynes, and a great-great-great-grandson of Baha’u’llah, founder of the Bahá’í Faith. Skandar’s paternal grandfather was Richard Darwin Keynes (the son of Geoffrey Langdon Keynes and Margaret Elizabeth Darwin). Richard was born in Kensington, London, England, and was a physiologist, and editor of the works of Charles Darwin. Sir Geoffrey Keynes was a surgeon and author; he was the son of John Neville Keynes, an economist, and of Florence Ada Keynes (née Brown), an author, historian and politician, who was Mayor of Cambridge, among other duties. Skandar’s great-grandfather Sir Geoffrey was the younger brother of prominent economist John Maynard Keynes, whose ideas are the basis for Keynesian economics. Skandar’s great-grandmother Margaret Darwin was the daughter of Sir George Howard Darwin, a barrister and astronomer, and of Lady Maud Darwin (born Maud Haskins Du Puy), an American socialite, whose surname has a French Huguenot origin. George Darwin’s father was Charles Darwin (Charles Robert Darwin). Skandar’s paternal grandmother was Anne/Ann Pinsent/E. Adrian (the daughter of Edgar Douglas Adrian, 1st Baron Adrian, and of Hester Agnes Pinsent, Baroness Adrian). Anne was born in Cambridge, Cambridgeshire, England, and was the sister of Richard Adrian, 2nd Baron Adrian, a physiologist and Academic officer. Skandar’s great-grandfather Edgar Adrian, The Lord Adrian, was an electrophysiologist and President of the Royal Society, between 1950 and 1955. He won the Nobel Prize for Physiology in 1932. The Lord Adrian was the son of Alfred Douglas Adrian, who was a legal adviser to the Local Government Board, and of Flora Lavinia Barton. Skandar’s great-grandmother Baroness Adrian was a mental health worker, and was created a Dame Commander of the Order of the British Empire (DBE) for her contributions. Baroness Adrian was the daughter of Hume Chancellor Pinsent and Dame Ellen Frances (Parker) Pinsent, who herself was a mental health worker and politician. Baroness Adrian was a descendant of prominent Scottish philosopher David Hume. Her brother, Skandar’s great-great-uncle David Pinsent, was a test pilot for RAE (Royal Aircraft Establishment), and was known as companion of Austrian-born philosopher Ludwig Wittgenstein. Skandar’s maternal grandfather is Cecil A./Fadlo Hourani (the son of Fadlo Issa Hourani and Soumaya/Sumaya Rassi/Rasi). Cecil was born in Chorlton, Lancashire, England, to parents were from Marjeyoun, Lebanon, and had converted from Eastern Orthodoxy to Scottish Presbyterianism. Cecil was an economic adviser to President of Tunisia Habib Bourguiba. Cecil was the brother of Albert Hourani, a historian, and George Hourani, a philosopher, historian, and classicist. Skandar’s great-grandfather Fadlo was the son of Issa Horany. Soumaya was the daughter of Youakim/Wakim Raci/Racy and Khazma George Haddad. Skandar’s maternal grandmother is Furugh H. Afnan. Furugh was the great-granddaughter of Bahá’u’lláh, founder of the Bahá’í Faith. * Edgar Adrian (The Lord Adrian) was was an electrophysiologist and President of the Royal Society between 1950 and 1955. He won the Nobel Prize for Physiology in 1932. * Hester Adrian (Baroness Adrian) was a mental health worker. She was created a Dame Commander of the Order of the British Empire (DBE) for her contributions. Hester’s brother, David Pinsent, was a test pilot for RAE (Royal Aircraft Establishment), and known as companion of Austrian-born philosopher Ludwig Wittgenstein. * Sir Geoffrey Keynes was a surgeon and author. He was the younger brother of the prominent economist John Maynard Keynes, whose ideas are the basis for the school of thought known as Keynesian economics. * Florence Ada Keynes was an author, historian and politician. Mayor or Cambridge, among other duties. * Soumaya Rassi and Fadlo Hourani were immigrants from Marjeyoun, Lebanon. Looks fully Turkish. Could easily be Ashkenazi too. Oh stop it you! You’re not funny. Looks full Slavic to me.